A class 321 EMU model in N gauge. 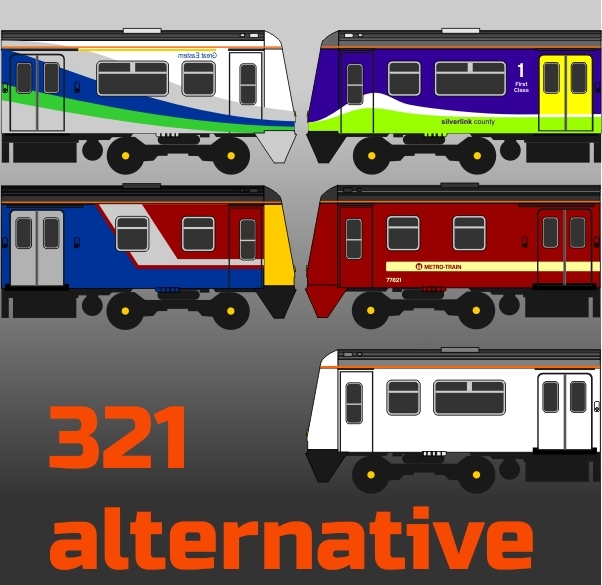 As an experiment we are offering 3 confirmed liveries – NSE, London Midland and First Capital Connect – which each have their own product order page. In addition as an experiment we are offering our customers a choice of some of the liveries that did not receive sufficient interest in our request for expressions of interest to go ahead – we can not guarantee that these liveries will go ahead until we have received sufficient orders – so we are asking people to pick a first choice and if possible a second choice livery. If your first choice livery receives sufficient orders then you will receive that livery, but if it does not receive sufficient orders and your second choice livery does receive sufficient orders then you will receive your second choice livery. Of course if neither of your livery choices (or if you pick no second choice) then you will receive a full refund. We are offering plain white (with yellow ends) or an undecorated version for those who wish to paint the models themselves into one of the less popular liveries or who wish to use vinyls from Electra Railway Graphics.